While all attention is being focused towards Facebook's acquisition of gaming VR company Oculus for $2 billion, the company also made another interesting announcement on Tuesday with regards to the social network's mobile user numbers. More than 1 billion Facebook users access the site through mobile apps now, according to an announcement from CEO Mark Zuckerberg this week. Based on a recent report from J.P Morgan, Facebook's services make up for about 20% of the time users are spending on mobile applications. Some two years ago, when Facebook acquired Instagram, the company was facing difficulties transitioning its popularity over to mobile. Instagram has jumped well over 100 million users in the past 2 years or so, and it appears as though Facebook's overall mobile presence is following that trend. 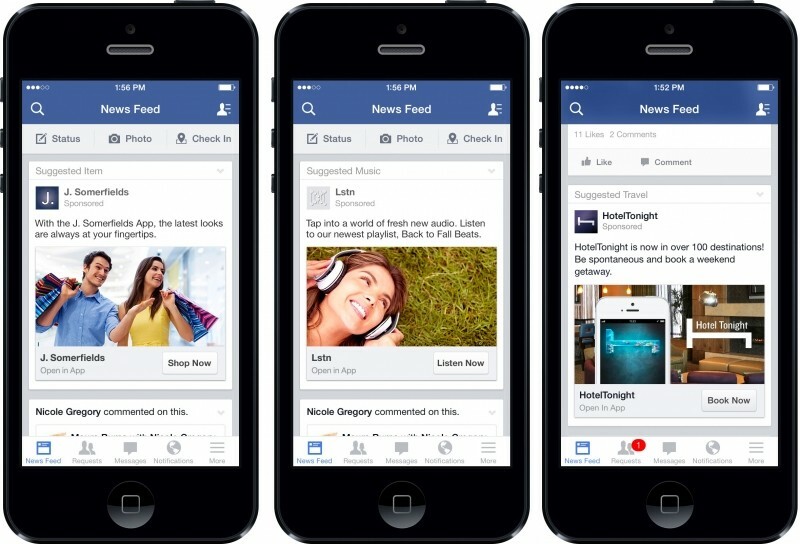 Although Google remains dominant, Facebook has become a major player in the mobile ad business in that time as well. A recent eMarketer study said that Facebook's mobile ad spend share more than tripled in 2013 to 17.5% and is expected to continue to grow across 2014. Two weeks ago the company launched News Feed video ads, and just last quarter counted mobile at 53% of its total ad revenue, up from an 11% total in 2012.